Metro Car Removal is a popular hotspot and #1 company for selling used vehicles in Richmond NSW 2753. 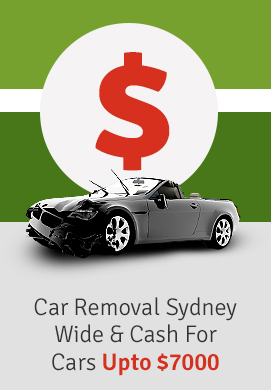 Serving an endless list of clients in all over Sydney, including Richmond, Metro Car Removal is now pleased to offer cash for cars services round the clock! Now, you don’t have to think about the time before you pick up the phone and dial [phone], because you can be sure of our availability. We have a team of highly trained experts, making us one of the best car businesses in Richmond. Cars experience wear and tear just like every other mortal being. Over time, the engine may start failing, windows may get dislodged, and like my own car, your vehicle might start leaking various different kinds of fluids. Looking to get rid of an old vehicle? You have to do nothing but call Metro Car Removal and we will get you a surprising amount of cash in return. Oh, what! Did you think you wouldn’t get anything for your damaged, rusted and scrap car? You’re fortunately wrong because Metro Car Removal will get your car what it’s worth. From metal to scrap to old components – all are counted when you call Metro Car Removal to sell your old vehicles too. We ensure you that you won’t find better deals anywhere else in Richmond. Rusted. Smashed. Scrapped. Destroyed, Written Off. If that sounds like your car, Metro Car Removal is your answer. Remember, you can still get some value from your used vehicle by using our scrap car removal service. Not only will it free up your garage space, but it will also leave a parting gift of a very healthy and happy wallet. You have no idea how expensive auto parts are. Even if your old vehicle is nothing but scrap, even scrap has value! So why not cash it out instead of leaving it to rust and lose value? Be a sweet friend to the environment and get yourself some instant cash too. 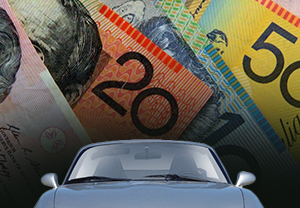 Our FREE car removal and TOP DOLLAR cash for cars service in Richmond is designed to provide an easy solution that helps you get rid of your scrap car while getting a hefty amount of cash. We just need you to do a few things before we come for pickup to ensure a trouble-free dealing. Give us some accurate details of your vehicle to help us give you an accurate quote in return. Clear your vehicle from all your belongings. Cash, glasses, toys, children’s car seats – please remove them all. All of these checks are done to make the removal as easy and quick as possible. Don’t have an identifying document? Some other issue? Don’t worry as we are here to help you out. Just give us a call at [0422 600 833] and we will free you from all your car selling tensions and help you focus on your work and your family. We do all the paperwork for free. For more information regarding licence cancellation visit here. Call us today and get some good cash in return.